Bail is s a procedure by which a Judge or a Magistrate sets at liberty one who has been arrested or imprisoned, upon receipt of security to ensure the released prisoner’s later appearance in court for further proceedings. Release from custody is ordinarily effected by posting a sum of money, or a bond, although originally bail included the delivery of other forms of property, such as title to real estate. The principal use of bail in modern legal systems is to secure the freedom, pending trial, of one arrested and charged with a criminal offense. When an individual is arrested for a crime, typically that person will be taken to a local law enforcement station for booking, prior to incarceration in a station lock_up or county jail. Once arrested and booked, the defendant has several options for release pending the conclusion of his or her case. Bail is designed to guarantee the appearance of a defendant in court at the time the judge directs. Cash bail means a person must give the court the total amount of the bail in cash. The cash will be held by the court until the defendant appears to all of his/her court cases and the case is concluded. 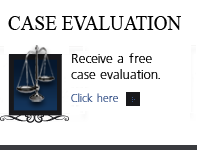 Full cash bonds provide a powerful incentive for the defendant to appear in court. If the defendant appears for all of his/her scheduled court appearances, the cash bail should be returned in full. An alternative to cash bail is a surety bond. This process involves a contractual undertaking guaranteed by an admitted insurance company having adequate assets to satisfy the face value of the bond. The bail agent guarantees to the court that they will pay the bond forfeiture if a defendant fails to appear for their scheduled court appearances. The bail agentâ€™s guarantee is made through a surety company and/or by pledging property owned by the bail agent. For this service, the defendant is charged a premium (typically 10% of the bail amount in Colorado). For example, if the bail amount in $10,000.00, the premium charged is $1,000.00. Prior to the posting of the surety bond, the defendant, friend or relative must contact a licensed bail agent. Once a bail agent is contacted, an interview or appointment will be immediately scheduled. Release on Personal (Own) Recognizance (P.R.) _ Another method of release, pending trial, is through a county or law enforcement administered pre-trial release program. Usually, the employees of these programs interview defendants in custody and make recommendations to the court regarding the release of these individuals on their own recognizance (i.e., without any financial security to insure the defendantâ€™s return). The interview process is often conducted over the telephone, usually with little inquiry into the defendantâ€™s background. The interview process attempts to determine whether the detainee is likely to appear in court. There is usually no verification of information provided by the defendant. Since no money, property or bond is posted to secure the defendantâ€™s appearance in court, he/she faces no personal economic hardship from the conscious decision not to appear in court. Accordingly, in those cases involving “Cite Outs”, the arrestee may never be placed in custody. Like the Own Recognizance (O.R.) release, the defendantâ€™s appearance in court depends exclusively on the integrity of the defendant voluntarily returning to court as ordered by the court. In Colorado, the bail premium (fee) is typically 10% of the full bail amount. For example, if the bail amount is $10,000.00, the premium charged is $1,000.00. Collateral is usually returned when the court finishes with the defendantâ€™s case(s), exonerating the bail bond(s), and when all fees have been paid. It typically takes anywhere from 15 minutes to 1 hour to be released on bail in a Municipal or City Jail. If a defendant is booked into a county jail in, it usually takes anywhere from 2 to 8 hours to be released on bail. CRS 16-4-105: 16-4-105. Selection by judge of the amount of bail and type of bond – criteria. Make sure you only deal with a licensed bail agent. Ask to see the bail agents license and identification prior to any bail transaction. 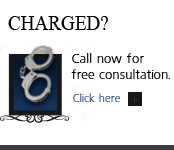 As an informed bail bond consumer, you will have the tools necessary to make the right decisions. Make sure you feel comfortable with the bail agent you choose. G o by your gut instinct. If it feels right, it probably is. If it doesn’t feel right, walk away and call someone else.